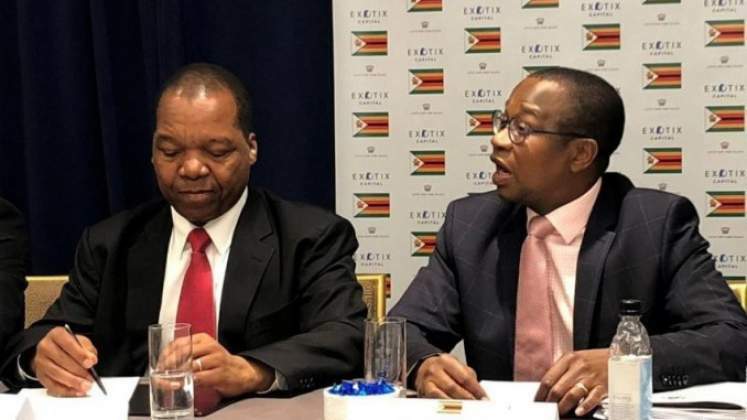 FINANCE and Economic Development Minister Professor Mthuli Ncube says the positive investor feedback on the 2019 Monetary Policy Statement (MPS) shows the country is on the right track and that this buttresses Government's fiscal policy reforms towards economic transformation. The introduction of the interbank foreign currency trading system, a departure from the previous 1:1 bond note/RTGS rate with the US dollar, is one of the key positive highlights of the MPS that was presented by Reserve Bank Governor, Dr John Mangudya last week. Commenting on the new measures during the fifth Cabinet briefing on Tuesday, Prof Ncube, in an online video by ZBCtv, said Zimbabwe was going in the right direction in terms of economic growth. "The response we are getting from foreign investors is that this (MPS) is good. This positive feedback shows we are moving in the right direction," said the Minister. He said the MPS pronouncements will work together with the fiscal reforms contained in the 2019 national budget statement in rebuilding the country's economy towards an upper middle income economy by 2030. "At least now we have a full monetary policy in action unlike before when the policy was missing and all we had were fiscal measures. We were walking on one leg and now we have two, which we will use for macro management," said Prof Ncube. The MPS has excited many economic players who applauded the Central Bank for heeding private sector suggestions to un-peg the exchange rate system from the previous 1:1 ratio. It is hoped the new system will stabilise pricing, weed out parallel market exchange rate distortion and restore sanity in the financial services sector. Already banks, working closely with the RBZ, have pegged the interbank foreign currency trading at US dollar 1:2,5 against the RTGS dollars as at Friday, February 22, 2019. The rate is expected to fluctuate in tandem with market forces. Government is already forging ahead with implementation of austerity measures meant to foster fiscal discipline and creating a favourable ground for investment and job creation. Minister Ncube is on record saying treasury has scored excellent progress in trimming monthly fiscal budget deficit as part of Government's economic reform agenda. Industry executives and market watchers have also embraced the MPS. Prominent investors including the developing markets investment bank, Exotix Capital Limited, have also said Zimbabwe under President Emmerson Mnangagwa's leadership is ripe for investment, with potential investors now looking at the country with "renewed spirit". Meanwhile, the country has also intensified its re-engagement and foreign debt clearance efforts as part of measures to normalise relations with the international community and creating a conducive environment to attract new lines of credit as well as increase foreign direct investment. The on-going reforms have also been embraced by local and regional stakeholders with South Africa joining the wider voices calling for the lifting of Western imposed sanctions against Zimbabwe.